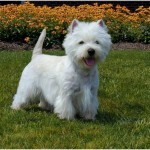 The West Highland White Terrier is originated in Scotland and is a small-sized terrier dog breed. 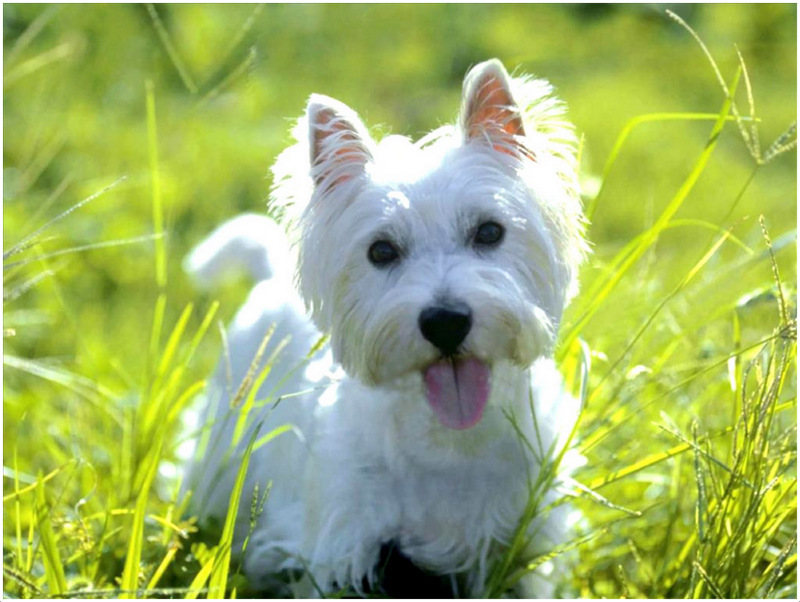 The dog is very attractive and popular with its white coat and is seen in television, films and advertisements. 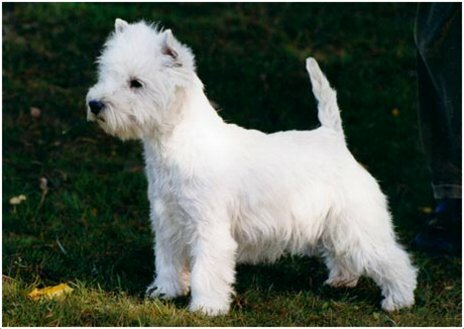 This Scottish breed got its present name in the year 1908 after its recognition by the popular kennel clubs. 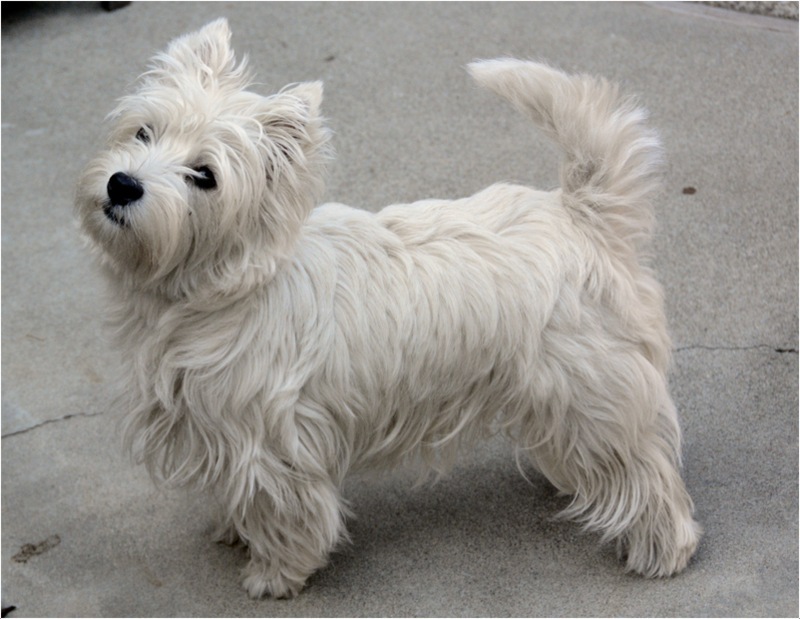 As the West Highland White Terrier is originated in Poltalloch in France, it is also called with a name Poltalloch Terrier. This breed is very popular in the UK and US and is said to be the good companion dog suitable for the people living in towns and cities. 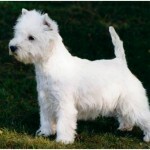 Apart from the name ‘Poltalloch Terrier’, this dog has other names like Roseneath Terrier and white Roseneath Terrier. It was popularly called with the nickname ‘Westie’ or ‘Westy’. 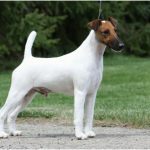 It is ranked in the top-three breeds in the US since 1960s. It becomes friendly with cats in a good time. It becomes friendly with the other dogs very soon. 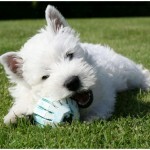 The temperament of the Westie is self-confident, independent, alert, brave and friendly. It loves to play with the young children but owners should prevent the children from handling the dog harshly. 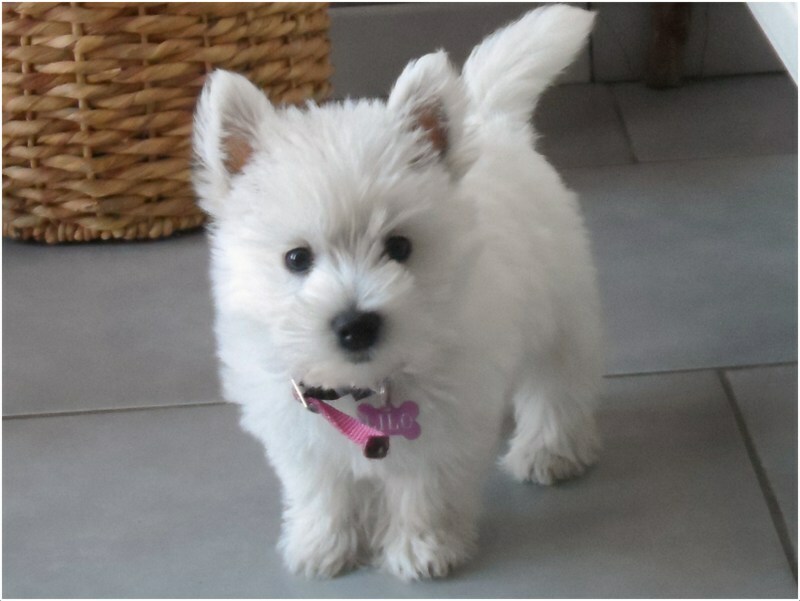 The price of the Westie ranges from $500 to $1200. It can be trained easily in the home and soon it becomes obedient. 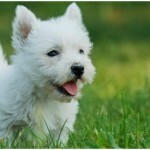 The West Highland White Terrier is hypoallergenic. It doesn’t bark heavily and so it suits well for any kind of home. It can be kept alone for the long time as it makes itself busy playing with small toys. But, leaving it for a very long time is not recommended. It likes to dig as well, so it may dig the yard or garden often. But owners can train the dog so as to make it stop digging. 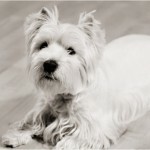 The Westie is small with a blunt muzzle and dark eyes. 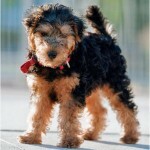 The ears are erected and pointed up wards while the nose is black in color while the small puppies have pink nose which eventually turns into black. The tail is not very long and is slightly curved. 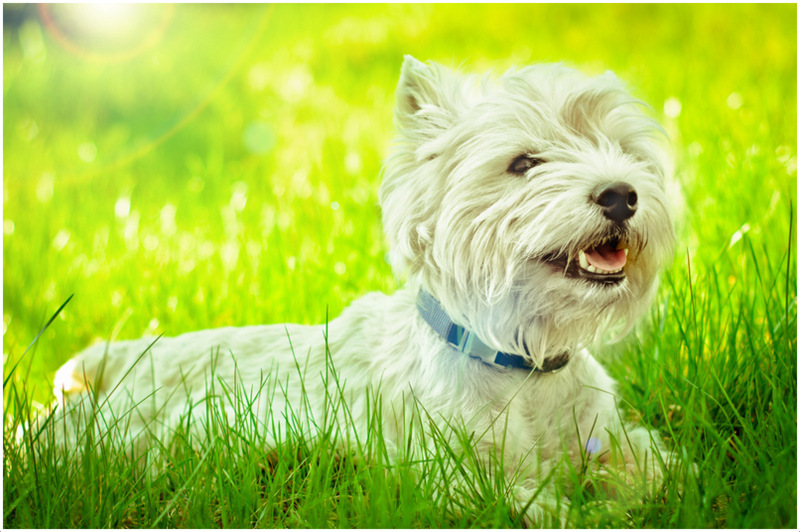 With its cute little appearance, the Westie attracts almost all kinds of people and is lovable by them. The thick undercoat and a rough outer coat make a double coat. The outer coat is 2 inches long and is straight while the undercoat is soft and dense. 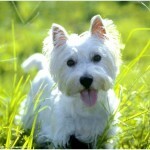 Generally, this dog is seen in white color and is very attractive. 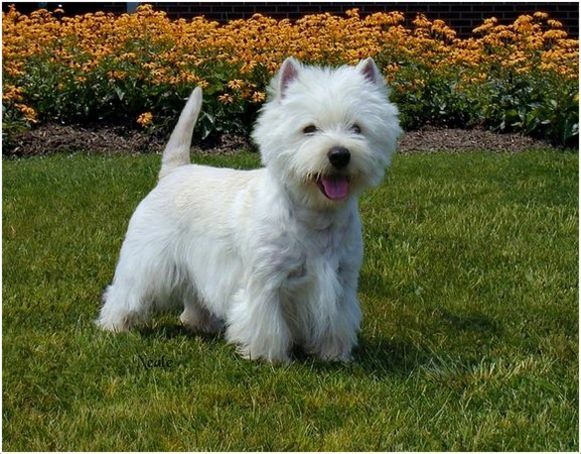 The weight of the male Westie is about 15-20 lb (6.8-9.1 kg) and the female weighs about 13-16 lb (6-7 kg), while the height of the male varies from 9.8-12 inches (25-30cm) and female height varies from 9-11 inches (23 -28 cm). 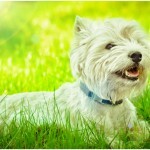 The Westie is said to be friendly, brave and self-confident. It doesn’t like harsh handling, so it should be handled with friendliness to make it a good obedient dog. 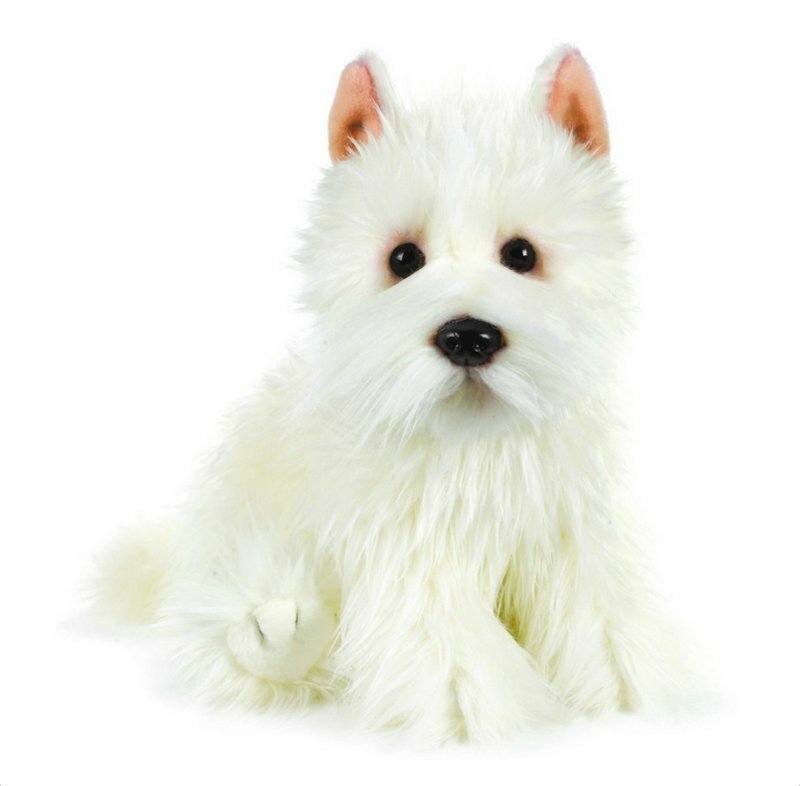 It is suitable for small travels too and is a good companion dog. It generally becomes friendly with everyone except that it should not be handled harshly or aggressively. Not a heavy barker, but it is said to be a good watchdog. 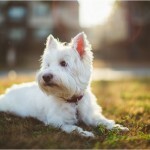 The Westie seems healthy most of the times, but there are few common health disorders which may cause illness to the dog. It is prone to skin disorders like jaw bone calcification and chronic hernias. It is also prone to the degeneration of the hip joint which is known as Legg-Calve-Perthes disease. 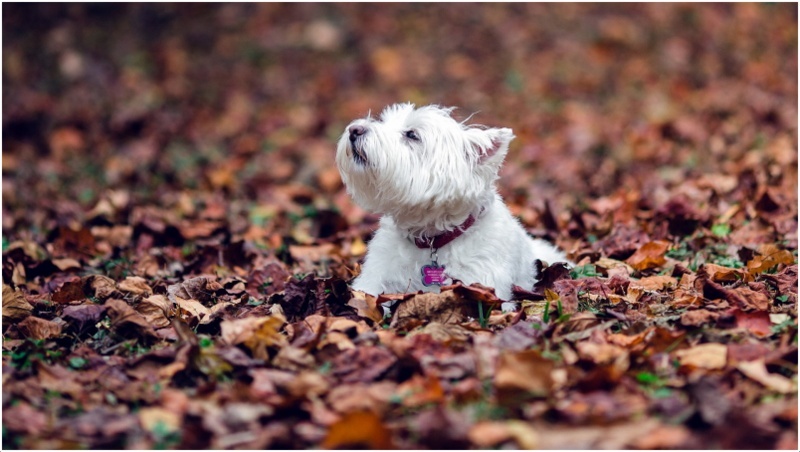 Craniomandibular Osteopathy, cataracts, Pulmonary Fibrosis and Patellar Luxation are the other common health disorders which are seen frequently in the dog. A proper care and medication is required in case of unusual symptoms. The diet should be healthy and scheduled, do not make it eat heavily. Prepare a proper schedule for food and feed it with healthy food and make it drink clean water. 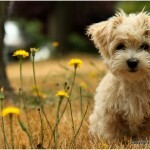 It is good with apartment living and is a suitable dog for the city people. A house with small fenced yard will make it active all the time as it likes to play around and run all the time. 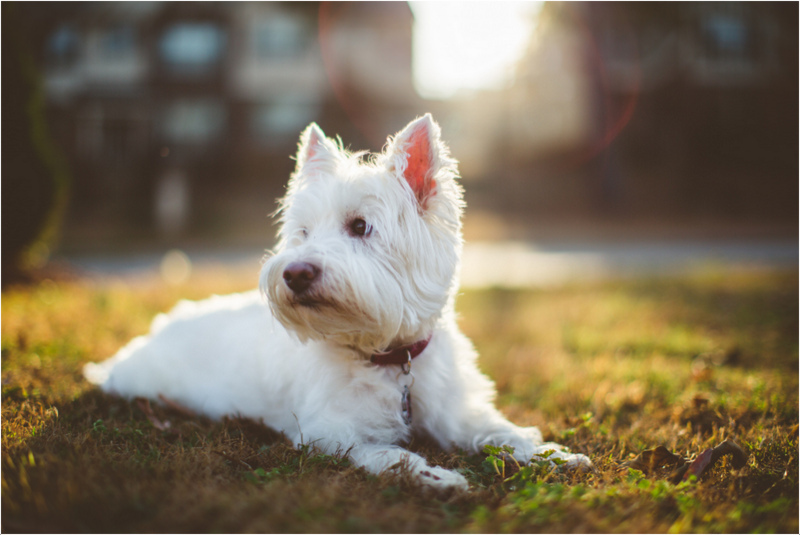 The Westie likes to walk around with the owners, so daily walks are preferable for the dog in order to keep it energetic and healthy. All the day, it likes to play and make fun around the people and the dogs with less walks seems to be depressed and inactive. 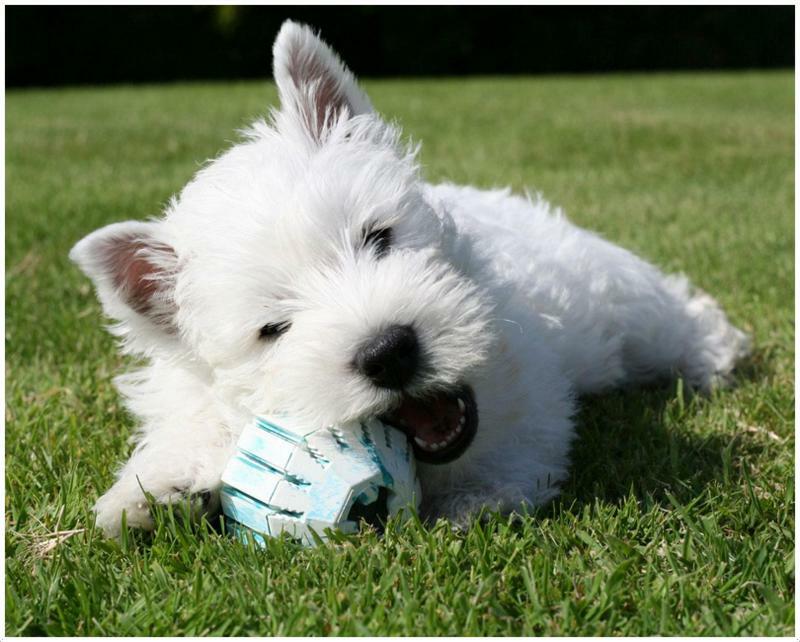 The Westie can give birth to an average of 3 to 7 puppies. During the time of pregnancy, a good care and proper diet is required for the dog so as to get healthy puppies. As long as, the dog is under the supervision of owners, threat is absent. But when it is on for daily walks, make sure it doesn’t get near the other big animals as it may grab their attention by its barking and may possess danger sometimes. 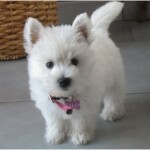 A proper age should be attained by the Westie for breeding and it is advisable to have professional breeding. Maintain proper food and take for short rides to make it fit and healthy after the breeding. 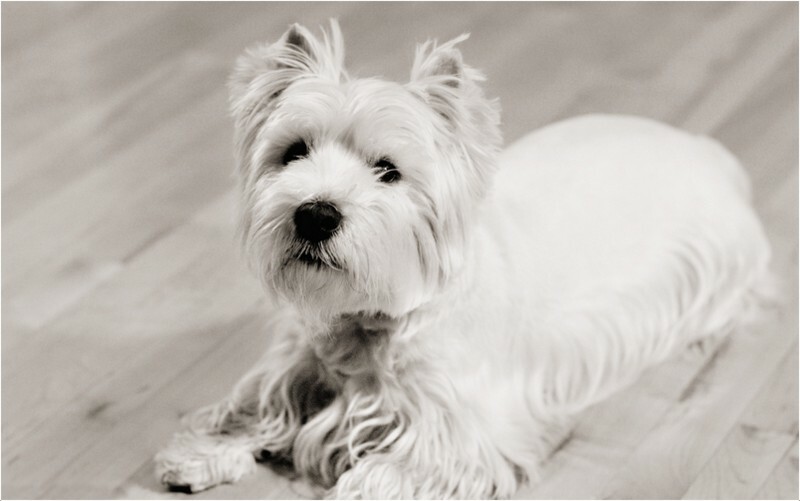 On an average, the Westie’s lifespan is about 12 to 14 years. 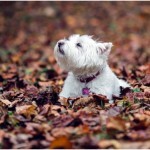 But, up on proper care and good attention, few dogs can live longer than expected up to 16 years. Brush the Westie twice a week with a stiff bristle brush and make it bath occasionally. 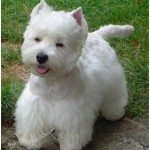 The coat is easy for grooming and the ears and eyes should be checked and cleaned regularly. It is advisable to hand strip for every three months and trim around the ears, eyes and on the feet whenever required. 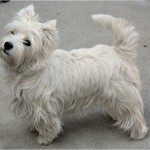 The Westie sheds very little and so regular grooming and rare hand-stripping is sufficient in order to keep it clean and healthy.